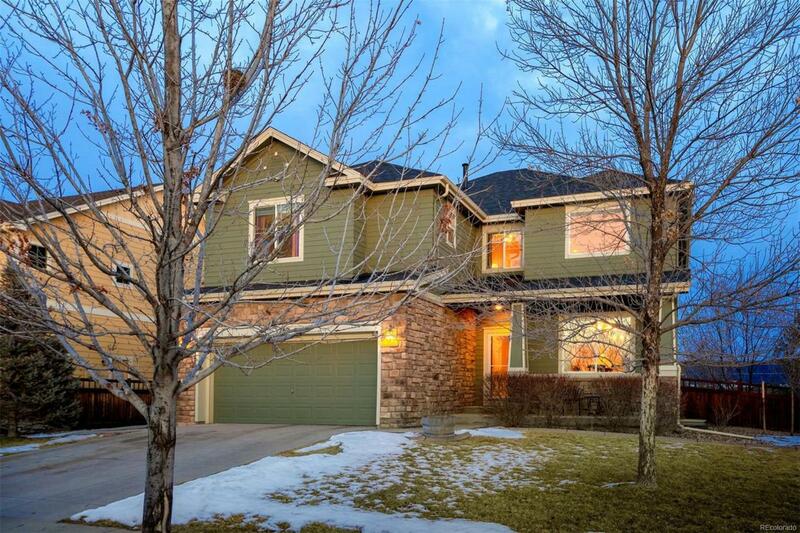 Welcome home to this meticulously cared for home located in the beautiful Brighton Crossing neighborhood! Home faces west and located right across the street from a park with splashpad. Home was painted in 2015 with a new roof in 2018. The back yard is professionally landscaped with raised garden beds with drip system and mature trees. Beautiful patio with rounded step and the storage shed will stay with the property. Downstairs has environmentally friendly Liptus wood flooring, top down/bottom up shades, in house audio, recessed light on dimmers. Kitchen is open to the family room and has a huge island with tall wood cabinets and lots of counter top space. Master bedroom is truly a retreat with a coffee bar next to a living space with fireplace that is tucked away for quiet enjoyment. All secondary bedrooms are a great size with walk in closets with Elfa Shelving with exception to the guest room. Too much to list with this home. You just have to come and see it before it's gone!